With the constant support of our dexterous crew of technocrats, we are fulfilling the varied requirements of clients by trading and supplying optimum quality Drainer Pump. - Plastic and Stainless Steel body that is robust, rust free and shock proof. - Automatic on/off operation, enabled by adjustable float switch. - Thermal overload protection prevents motor burning. Portable series of JC & JS submersible sludge drainage pumps are ideal for use in handling slurry or abbrasive water, water mixed with solids and putrid mud, installation in construction sites, mining and tunnelling operations and quarries. 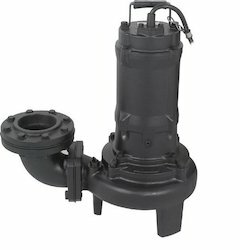 submersible pump designed for the pumping of drainage and effluent. Kim Novax Industries Pvt. 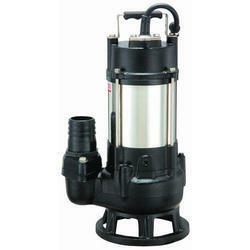 Ltd.
We are a leading name for CRI Drainage Pumps in the market at present. It doesn't need its own bulky motor.